Induction Cap Sealing Machine manufacturers, Induction Cap Sealing Machine suppliers, Induction Cap Sealing Machine producers, Induction Cap Sealing Machine exporters, Induction Cap Sealing Machine production centres, Induction Cap Sealing Machine suitable for bottle, Jar, Jerry Can, Oil, Pharma, Food and Cosmetic Bottle. 1.5 HP / 415 Volts / 50 Hz. 2HP / 415 Volts / 50 Hz. * Depends on vial size, cap size and type of cap. 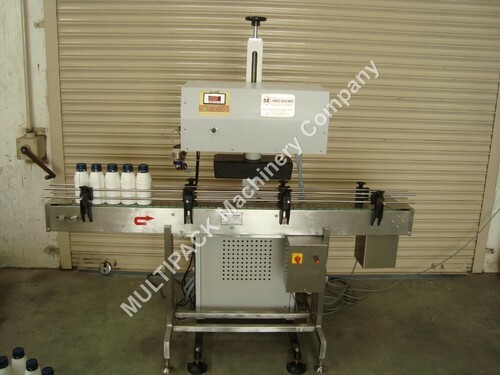 Induction Cap Sealing Machine We are recognized as one of the eminent manufacturers, suppliers and exporters of Induction Cap Sealing Machine . We are committed to offer quality range of sealing machines, so during the manufacturing process we use certified quality of raw materials. Acknowledged for their sturdy structure. 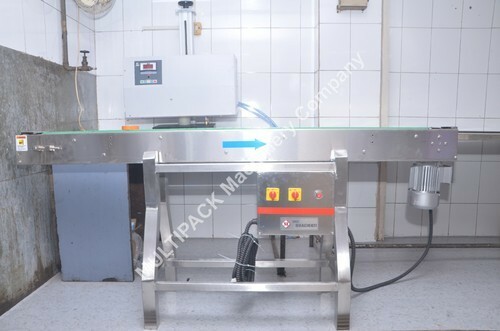 With our vast industry experience, we have established ourselves as the prominent manufacturer, exporter, importer and supplier of sophisticated Induction Sealer Machine. Our offered range is manufactured under the guidance of our experienced professionals using high-end technology, modernize machinery and latest equipment in compliance with set industrial standards. 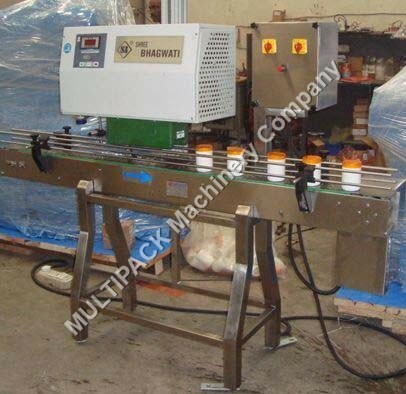 This machine is widely in demanded in the market for its defined features. Clients can avail the entire range from us in various specifications at industry leading prices. Induction cap Sealing system, empowers packagers to seal from 10 to 120 mm closure sizes at desired line speeds. 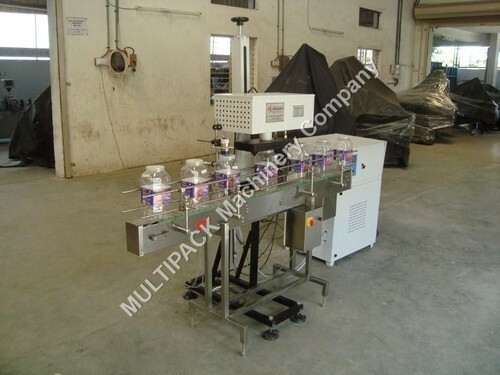 Induction Cap Sealing Machines were developed by us to cater to the requirement of the Packaging Industry. Supported by the talented and experienced professionals, We are in a position to offer Online Air Cooled Induction Cap Sealing Machine. This machine is designed with high efficiency with low power consumption and it will seal the containers with the same speed which will save on the power costs. 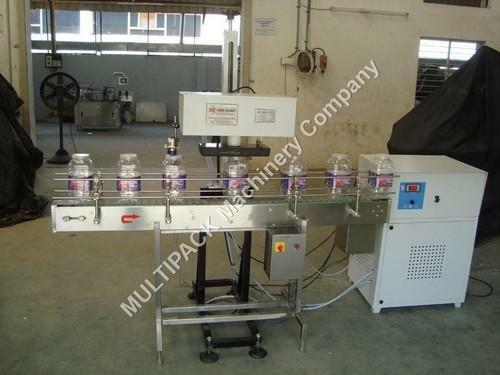 Our client can avail from us an wide range of Air Water Cooled Induction Sealing Machine With Bottle Conveyor. These are manufactured according to the international quality standards. These are also customized as per the client requirements. These are available at market leading price. 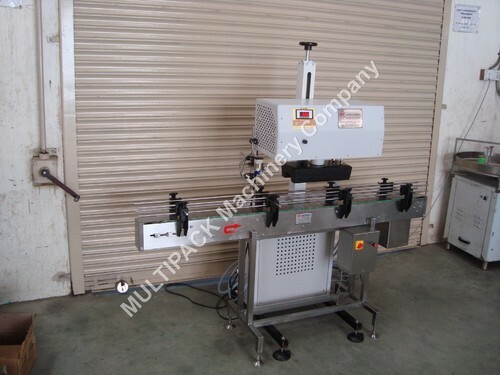 Used in variable manufacturing industries, induction sealing machine is also known as cap sealing. The sealing process is followed up after the bottle or container is filled and capped. Aluminium foil layer is used for covering the bottle. Normally, induction liner is multi – layered where the top layer is paper pulp stick to cap with glue followed by wax layer used for bonding the aluminium foil pulp. 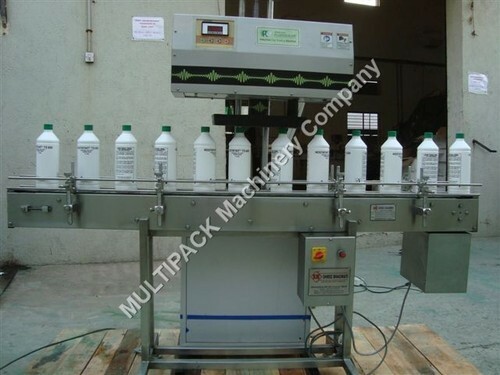 There are various further process takes place for packaging bottles, containers or jars. Technological advancement of the induction sealing machine allows easy process of applying foil sealing on the container without any closure. 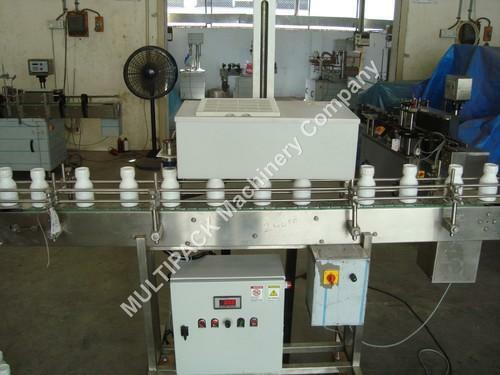 Induction sealing machine is suitable for metal bottles, jars and container. Vented Induction Sealing Wads for HDPE/PET/PP/Glass or metal bottles, jars and containers. 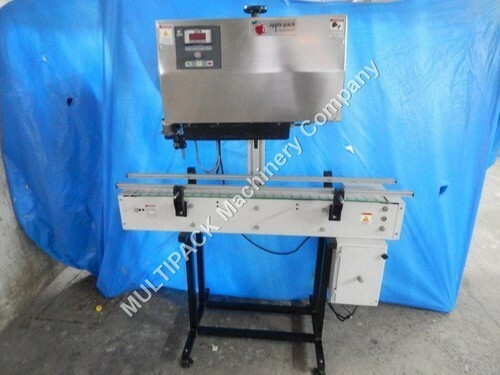 Looking for “Induction Sealer Machine For Bottle And Jar”?